James Fergusson mentions in the book “Tree and Serpent Worship” (1873) that the Saami still worshiped serpents and trees in the early 1800eds. Even if most objects and monuments of the ancient Saami culture are lost, there is some evidence that support that the Saami used runic scripts since the Iron Age. 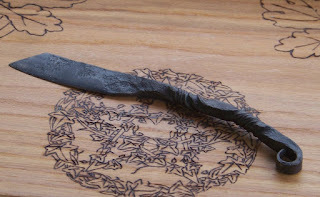 On a shale spear point found in Åsele Lappmark (Sweden) there are engraved runes that are dated to 400 – 600 CE and the authors of the following article concludes that they could have been engraved by Saami people. Nidhogg, who lurks at the very deepest root of the World-Tree, gnawing upon it, spewing venom as he consumes the shells of the dead. Nidhogg is a devourer, a breaker down of aggregates, and in reawakening the essences of your past selves, you are effectively undoing Nidhogg's work, causing the Dragon to regurgitate that which it has devoured. What form will this Dragon take? So Nidhogg, the final of the three great Dragons of the North, is the accretion of the debts, the grievances and the unfulfilled desires of your past selves. This is a mighty and worthy foe to conquer. But if you can conquer and subdue the Dragon, gaining the use of those past skills and knowledge, broadening your outlook and your very sense of Self in the process, then this Dragon has one final Gift to offer when brought to heel. Nidhogg is the most dangerous of Dragons, but also the most transformative, for according to the Voluspa, the Seeress' Prophecy in the The Poetic Edda, this Dragon is immortal indeed, surviving Ragnarok. My snow/ice dreams are always beautiful. Oftentimes, in my ice dreams, I am a beautiful ice skater flawlessly ice dancing (I don't know how to ice skate in real life) pouring out poetry in motion on the ice. I love these dreams. I can do anything in them. I feel so effortlessly skilled and fully alive. I've never really decoded these dreams beyond the fact of pertaining to my Northern ancestral heritage. But today I am struck by the flawless skill I employ in these dreams (of a skill I do not in this life possess). My insides are shaking with the realization that these ice skating dreams, where I can do anything I set my mind to do, are not only linking me to my Northern ancestors, but are linking me deeply to one of my past selves. My innards are screaming out - this is my grip on Nidhogg and this realization is my link toward reawakening the full essence of my whole Self, not only as I am in this incarnation, but all of my Self in continuity. This realization was sparked as I just a few minutes ago researched "Old Norse Witchcraft" which led me to the invention of ice skating by the Saami - the people from whom my ancestral U5b1b1-T16192C! genetic motherline descends. Iceland is one place where I have genetic motherline matches according to Roots for Real (one of the labs where I had my mtDNA analyzed). People belonging to the Saami population are mentioned in some of the Icelandic family sagas, in some of the shorter stories about Icelanders called pættir (sg. páttr); in some of the sagas belonging to the genre fornaldarsagas which tell about ancient times in Scandinavia before the rule of the Norwegian king Haraldr hárfagri (Harald finehair); as well as some of the kings' sagas - including sagas of the earls like the Orkneyinga saga; - and in Norwegian chronicles originally written in Latin. Saamis are also mentioned a few times in the Icelandic Lándnamabók, which gives a survey of the settlers and their descendents, and in Icelandic annals. They are also mentioned in poetic literature, in one Eddaic poem, and in a few skaldic stanzas. In any case, the Saamis in all these sources are viewed from the outside. A few texts tell about a marriage between a Saami woman and a Nordic man - in one case the bridegroom is a Saami. In such motifs, the Saami are either the daughter or son of a Saami king (see Ágrip, ch. 3; Haraldz saga ins hárfagra in Heimsrkingla, ch. 25; Hrólfs saga kraka, ch. 24ff; and Volundarkviða). In a few texts we find descriptions of Saami shamanism (see Vatnsdæla saga, ch. 12; Historia Norvegiae, 16ff.). The heathen wiseman who announces the coming of a new and better faith is a literary motif in many medieval texts. In Old Norse texts, the role of this heathen wiseman may be held by a Saami (see for instance, Flateyarbók I, 231; Oddr Snorrason munkr: Saga Óláfs Tryggvasonar, ch. 19(13.). The Saamis' skill in magic is emphasized in a wide range of texts. Motifs describing objects with magic power or strange events caused by magic are often connected with Saamis (see for instance, Flateyarbók II, 372; Óláfs saga ins Helga in Heimskringla, chs. 192 and 228; Hálfdanar saga Eysteinssonar, ch. 20; Ǫrvar Odds saga, chs. 4 and 12; Sturlangs saga starfsama, ch. 12). ... in this text there is no sharp distinction between giants and Saamis, the brother of Brúni is said to be a Saami. and may also shed light on the understanding of the people living within the Old Norse culture regarding to relationship between Saamis and Norwegians. Adding to this, I also just discovered that ice-skating and bone ice skates were invented by the ancient Saami, my ancestors through my ancestral genetic motherline. In Old Norse texts, a Saami man is called finnr, fiðr or finni. A Saami woman is called a finna or finnkona. I am simply stunned with delight finding all this new information! First, it is clear to me now that my repetitive dreams about ice skating pertain most specifically to my Saami ancestry and point me to recognize the renowned magical skill of these ancestors of mine. Second, in one of my past incarnations, I was Saami, and I too possessed this magical skill, executing my skill flawlessly, heroically even. My ice-skating dreams tell me that - in them, I feel able to do anything I set my mind to do. Third, the recent EF5 tornado synchronicity with events in my life aligns with the lore about my Saami ancestors, in that "strange events caused by magic are often connected with the Saami," as discussed above. Fourth, I may be descended from Saami royalty, that is, the daughter of a Saami king and queen. Fifth, my recent "wise jotun" dream, not only links to Vafþrúðnir in the lore, to my fylgja/hamingja/fetch, but to my Saami ancestry as well. Seventh, the fact that this work of Self-integration was set for this incarnation may indeed be the reason I felt I didn't have the strength do it as described in one of my preincarnate memories - the one where I described my incarnation into this present life, but my fylgja, my giant Self promised to lead me through it, to it! What a wondrous fylgja I have, hail my most dependable fylgja! In follow-up to my previous post, I've just encountered another synchronicity with my friend as mentioned in that post. We will begin dealing with the full initiatory symbolism of the Sigurd / Fafnir myth in the next chapter, taking it to its culmination. But first, it is appropriate to investigate the nature of the Dragon and its attributes a little more closely. I stopped right there, struck by this. Now, I haven't read anything else in this book yet, but it certainly is another synchronicity in my life that I must record. The most recent dream I've shared has a dragon in it - only the dragon in my dream appeared as a beautiful unicorn-like white horse. This must be the nature of my Dragon. My dragon reminds me of Sleipnir. Of course, I certainly do remember when my dragon was indeed a fire-breathing blood-curdling wonder, and I imagine many people who have known me for a long time can also remember when it was. One type of divination is also at work here, the forspá, as supposed to the discovery of hidden knowledge (eftirryni). Google Translate translates the Norwegian word forspá as bias. Interestingly, another synchronicity of this word with recent events comes to light through this translation. Earlier today, an Etsy and Facebook friend of mine brought up the idea of bias in divination as we chatted through Facebook (she indicated that she wouldn't do divination readings for herself due to her own bias, while I indicated I would never trust the divinations of others for me because all divinations go through the personal lens of the diviner and I only trust for myself readings I do myself). I'm happy to discover that my Jotun dream divination can be associated with the Icelandic word eftirryni (uncovering hidden knowledge) as opposed to the Norwegian word forspá (biased knowledge). There are many accounts of magic spells inflicted through the act of speaking, including chants, libels and insulting phrases (söngvar, ákvæði, áhrinsorð, níð, and fordæðuskapur). The words of some speakers are charged with a particular power, as in the words of Þorbjörg aided by the Varðlokur recited by Guðríður in Eiríks saga rauða. One type of divination is also at work here, the forspá, as supposed to the discovery of hidden knowledge (eftirryni). However, witches’ storms could sometimes be ameliorated by equally powerful counter spells. In the case of Ósvífur and his companions, they are given what might be termed a magical weather warning; but the warning is heeded, and no one suffers serious injury or death. The incident involving weather magic in Laxdæla saga has more serious consequences, however. I am thinking that this is connected to my dream of the Jotun who did alot of smashing (in which I shared the warning of some event that I could not prevent in the dream) and the recent EF5 tornado in Oklahoma. I'm pretty sure my Jotun dream was meant to communicate hidden information to me. I didn't conjure up the tornado. Wow. In follow-up to my previous post, I'm reading the article where I found the spelling forneskja used to describe the witchcraft I called fornekja (as does Edred Thorsson). The article is about weather magic. A synchronicity with events strikes me about this because of the recent EF5 tornado in Oklahoma (which has been referred to in news reports as causing the worst tornado damage in the history of the world) comes in proximity to my investigations into fornekja and self-initiation into the runic mysteries apart from being thrown off the Rune Gild forums for no good reason as far as I'm concerned. I'm sure I didn't conjure up that tornado. The term ‘witch’ itself has a great range of meanings in Old Icelandic, and it is not just one word, but a series of concepts which may be translated as ‘witchcraft’. These are fjölkynngi, fyrnska, and forneskja. The latter two have the connotation of ‘old heathen time’ and ‘old lore’. Since Edred Thorsson is an expert in old Germanic and English languages, while the writer of the article (Astrid Ogilvie) is educated more in climatology and environmental research, I'm more inclined to view the proper English spelling to be fornekja. Still looking into the discrepency in spellings for this word. On one Asatruar's webpage called EKJA, the word ekja is equated with the English word edge, and while I'm not sure where his connection to meaning is coming from, clearly there is some precedent beyond myself for equating the word ekja with the word edge. This is an important meaning (as far as I'm concerned) for the word ekja, given the fact that I have already linked this word (through the word forn-ekja) with seeing the shaping of my edges and edges in one of my preincarnate memories. In Old Norse, the ja suffix was sometimes attached to a stem to denote a masculine agent. In my experience, this ja suffix denotes the attachment of my contrasexual fylgja to me (the I or ek), making the word ek-ja in my experience to reflect the unity of myself with my fylgja. Ekja thus refers to a joint I-fylgja complex of experience (as shared in some of my preincarnate memories). Ekja (f.) can also mean carrying or carting. Thus, ekja can also refer to both my preincarnate and incarnate conscious experiences of carrying my fylgja with me. Taking all of this together, the ancient traditional Germanic form of withcraft called fornekja may be legitimately and linguistically connected to the practice of a witch who carries remembrance of an ancient former state of Being which carried her fylgja in experiential consciousness even as her edges were being shaped. In follow-up to my previous few posts, I note that the tv show I watched last night was one in a series called The Secret Circle. Though about a group of teenage witches, it indeed contains alot of interesting information about some form of witchcraft - particularly, some form of witchcraft intimately connected to who I am. In this series called The Secret Circle, the idea featured significantly in the plot is that a complete circle consists of 6 witches (from 6 hereditary family lines of witchcraft). Interestingly, my secret circle, my birth rune (my ancestral inheritance), consists of 6 lines which complete the circle (othala)! These are the 6 hereditary lines of witchcraft, the natural witchcraft of my ancestors called Fornekja. I was in a house with many rooms, being "chased" (of sorts) from room to room as I was trying to avoid being poisoned by someone on the outside. The person (or persons had some kind of paternal grandfather connection) and at one point, slipped worms into the carpet of the dining room through sliding glass patio doors. I saw what he did and didn't step into that room to be infected by the worms. Instead, I went into the living room and walked toward the front door which was locked. The grandfatherly poisoner was coming toward the front door, but I "busted out" through the front door into an entirely new larger building of rooms, leaving him behind outside the little house. There were others and other families in this larger building also going room to room, being "chased" (sort of, but not in an aggressively dangerous sort of way). A dragon (which actually looked like a beautiful white horse or unicorn) from outside one window in one room "came into" the room through the (paneless) window with us. Many were afraid, but someone said the dragon was not dangerous. It came up to me as I faced it and just looked at me, then it went back to its place outside the window. I felt it's evaluation and approval of me. I felt stamped with a seal of approval by it through its gaze. We all came to the final room. Outside the big paneless picture window was a great dark void. We were standing at the boundaries of the Universe. Outside the window, the dark space was a charged magical void (ginnungagap). Directly in front of us but outside the paneless window, was a sort of "desk island" or station that was "tethered" to the room structure in which we were standing - this station was the last possible place to go to see and yet still be able to return to the current structure. I had the feeling that going beyond that, by jumping into the magical void, one would either "dissolve" one's individual consciousness or remain whole of individual consciousness for a new incarnation. Some were afraid, and wanted to "just see" what would happen if someone was pushed out the window. Someone pushed out an older woman and she fell into the magical void. We couldn't see what happened to her. The only way to find out, was to go out the picture window oneself. We were all waiting for our medical test results to see if it would be safe to go outside into the magical void, either to the tethered station or to jump into it completely. A medical worker came into the room with everyone's tests results. I was handed mine. On the front of the envelope was my name - Lori Lappin. I opened it. Being a medical professional myself, I noticed that some of my results were beyond the bounds of "normal" range. As I was looking at my results, the medical professional who had delivered my results watched me and spoke to me as I was mentally noting the values of mine which were beyond the bounds of normal - she said my results were "very good," dispelling any idea that these "not normal" values might be a bad thing. In fact, my results were very good because of the values which were beyond the range of "normal." I had been a single person not part of the nuclear families in the room with me, but I then became aware of my mate (fylgja) beside me. He was still not sure that it would be safe for us to go outside the paneless window fully into the magical void or out to the tethered station (from which we could still return back to our current structure (incarnation). He communicated to me his thought that even though I was a whole cosmic seed, we might remain stuck in that state and remain like that forever. But I knew, I just knew, and said to him, "you expand it." We would not remain stuck like that or dissolve - we would reincarnate whole again. I knew if we jumped out the window, we would take off our current forms and be reborn whole of individual consciousness again, because I was strong enough to hold us together, and he was strong enough to expand us from our cosmic seed. We are strong enough, we are able. Interestingly, in the same tv show I watched last night between my previous Fornekja post and my Birth Rune post, another synchronicity occurred in that episode - in my dream was featured a magical tether (just as was featured a dance called Fire and Ice) - my Universe finds ways to teach me. An interesting synchronicity to note in follow-up to tonight's earlier post which brought out the association of fornekja (traditional Icelandic witchcraft, the word which translates as "old one") to my experience of Being and preincarnate memories. My nightly rune drawing just a few minutes ago was Hagall. Forna, in this rune poem, means "olden times" and is written within the context of the world being shaped, similar to the way in which my memories pertain to the shaping of "my world" of experience. One of my memories even directly pertains to seeing my "edges and edges" being shaped. This is simply awesome . I remember reading or hearing something in passing (don't know the source) about each person having a birth rune - I am wondering if Hagall is my birth rune. Another interesting synchronicity is that in between writing my previous post and the rune drawing, I watched a tv show in which was featured (as a small part in the story plot) a high school dance called "Fire and Ice." In the Elder Futhark, Hagalaz (corresponding to Hagall of the Younger Futhark) holds in its form wholeness both fire and ice. Hagalaz is the ninth number in the Elder Futhark and is the rune (according to Runelore by Edred Thorsson) "in which all runes are held." Nine is the number associated with Odin's obtaining of the runes while hanging upon Yggdrasil. I too have been hung upon Yggdrasil, just like Odin. All of the runes are in me. Fornekja, which means "old one", is Icelandic witchcraft and one form of traditional Icelandic magic. Specially, fornekja is a natural type of witchcraft linked to the idea of having "deep archaic roots in time" which confer operative magical power to the practitioner. Fornekja - this is the type of witchcraft I most truly practice. This is the kind of witch I am. I don't yet know the Icelandic word for a female practitioner of this type of witchcraft, so if anyone reading my blog does know, please share. According to Roots for Real (one lab where I had one of my mtDNA ancestral genetic motherline tests performed) found 16 matches for my mtDNA - one of them was in Iceland. Ancestral genetic motherline match for me in Iceland. 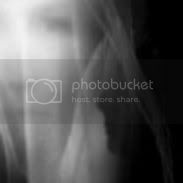 I've shared many poems and stories on this blog pertaining to my preincarnate (archaic) memories which stretch back to the ginnungagap (magically charged void in Scandinavian cosmoloy). This is one of those poems. THUSSARAUN (meaning "initiatory test") is linked (in the traditional rune poem known as Malrunakenningar) to an ancient proto-etin (proto-giant) called Fornjotur and to the rune Thurisaz (also known as Thurs in the Younger Futhark). In Havamal 164, the word óþörf releases the powerful initiatory energy of the THUSSARAUN. The transliteration of the word óþörf into Younger Futhark runes is ᚢᚦᛆᚢᚱᚠ (ur-thurs-ar-ur-reidh-fe). Looking at the runes which formulate the whole word (óþörf), the first ur and the ar-ur surrounding the thurs (thurisaz in the Elder Futhark) can be seen as strengthening the thurs, while the last letters reidh-fe make the strengthened thurs both mobile and increased. How the thurs plays out into the life of the initiate is solely dependent upon how the individual handles the thurs rune. 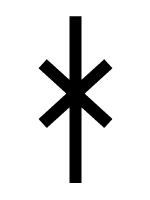 A powerful but potentially dangerous rune, thursiaz/thurs means thorn and conjures up preconscious aggressive chaotic forces, both in the being of the initiate and in the cosmos. Consequently, this is a dangerous rune to invoke, but this is the rune which must be successfully managed and its energy controlled to enter into the deep mysteries of the runes. 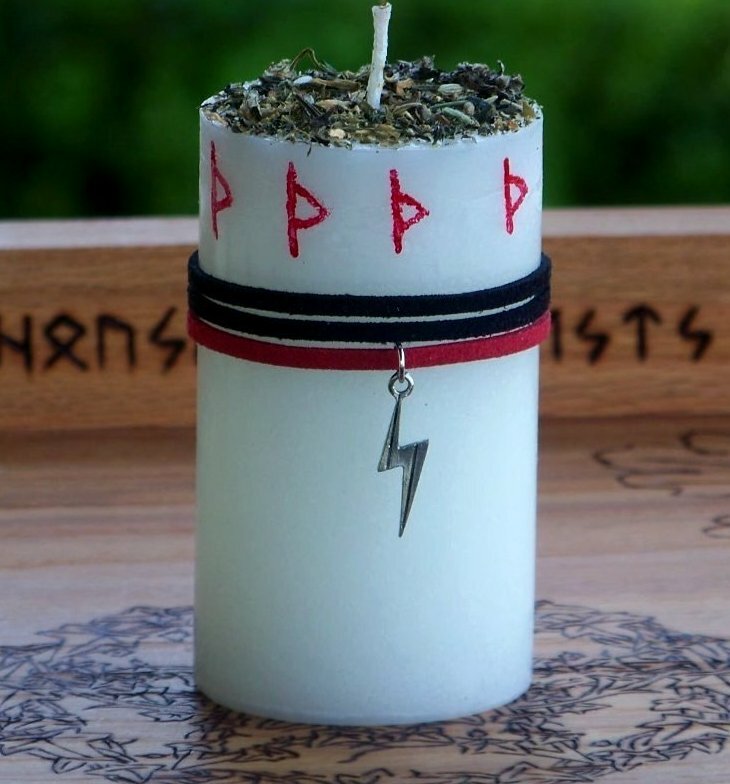 My newest candle THUSSARAUN has been handcrafted for ritual self-initiation into the runic mysteries. Powerfully evocative, handcrafted with premium all natural paraffin wax and pure cotton wick, THUSSARAUN features the emblematic colors of the Teutonic peoples (white, red and black), is generously scented with Saturn-associated Mimosa (and more), herb charged with the 9 sacred herbs of Northern Tradition Witchcraft (Mugwort, Plantain, Nettle, Fennel, Chamomile, Chervil, Watercress, Crabapple Wood and Viper's Bugloss), painted with 9 hand painted rune-red thurisaz runes, and wrapped with black and red suede leather adorned with a silver metal Thor's lightning bolt (to aid you toward control) charm. A CBS meteorologist reports that the monstrous EF4 tornado which leveled Moore, Oklahoma earlier today has caused "the worst tornado damage in the history of the world." At least 24 children are believed dead. MOORE, Okla. (CBS Houston/AP) — A monstrous tornado at least a half-mile wide roared through the Oklahoma City suburbs Monday, flattening entire neighborhoods with winds up to 200 mph, setting buildings on fire and landing a direct blow on an elementary school. At least 51 people were reported killed, according to CBS News. KFOR-TV reports that up to 24 children are believed dead at the Plaza Towers Elementary School in Moore and that it has turned into a search and recovery effort. Authorities expected the death toll to rise as emergency crews moved deeper into the hardest-hit areas. Read the full story here. May those who mourn be comforted. UPDATE 5/22 - CNN reports "Damage assessments showed the tornado had winds over 200 mph at times, making it an EF5 -- the strongest category of tornadoes measured, the National Weather Service said." Ubilaz is a proto-Germanic word typically translated as evil. Etymologically, ubilaz is thought to come from the "Proto-Indo-European root *wep- (“bad”), making it cognate with Old Irish fel (“bad”), Hittite (huwap(p)-/hup(p)-, “to mistreat”)." Alternatively, ubilaz may come from the "Proto-Indo-European *upélos (“evil”, literally "going over or beyond (acceptable limits)"), from Proto-Indo-European *upo, *up, *eup (“down, up, over”)." Definitions of evil vary along with analysis of its root motive causes, however general actions commonly considered evil include: conscious and deliberate wrongdoing, discrimination designed to harm others, humiliation of people designed to diminish their psychological needs and dignity, destructiveness, and acts of unnecessary and/or indiscriminate violence that are not legitimate acts of self-defense but aggressive and designed to cause ill-being to others. A master over evil can take the runes and runic energies which comprise this word, break them apart, and transform the letter-energy into anything she or he desires, thereby nullifying the evil through transformation. As the old saying goes, would that good had the singleminded power of evil! 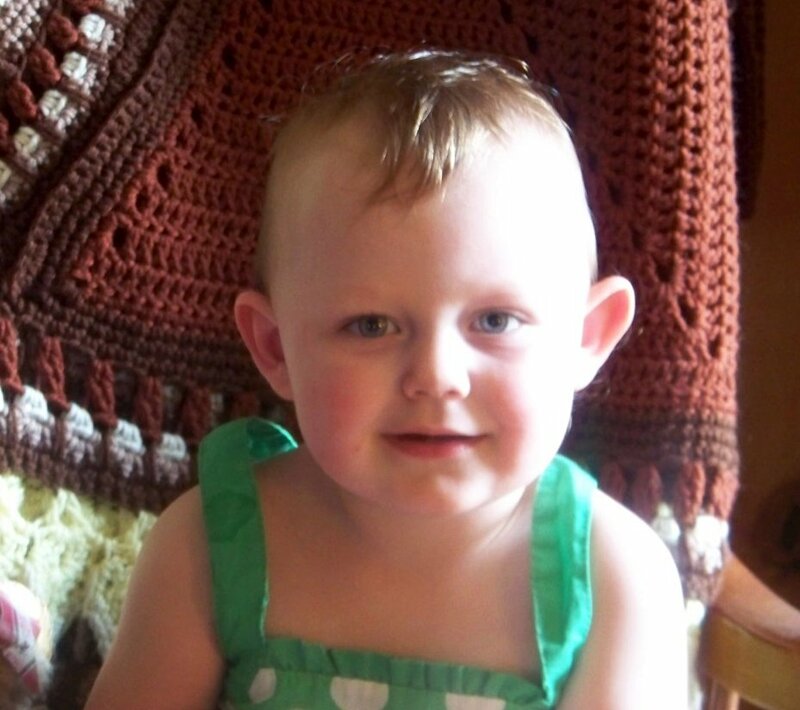 My youngest grandchild, my precious granddaughter Makenzie. I have no idea if any of the U5b* people below are directly related to me through my ancestral genetic motherline, but I thought I'd share this for any others who might be interested in this Germanic genetic information. In follow-up to my previous entry, the word used in Havamal 164 (commonly translated as both un-needed or woe) is óþörf. The transliteration of óþörf into Younger Futhark runes is ᚢᚦᛆᚢᚱᚠ (ur-thurs-ar-ur-reidh-fe). Looking at the runes which formulate the whole word (óþörf), the first ur and the ar-ur surrounding the thurs could be seen as strengthening the thurs, while the last letters reidh-fe make the strengthened thurs both mobile and increased. So, looking at the runes of the word this way makes a case for seeing the word as potentially curse-like and whether or not it actually plays out that way is wholly dependent upon how one handles the thurs rune. The runes themselves make the case for the word carrying a potentially curse-like energy, as opposed to merely the "woe" translation making the case. The first line refers to the actuality of a creative utterance being put forth, the act forthspeaking that which follows. The second line is both a blessing and a curse, the specific one actualized in any particular person's life wholly dependent upon the intent of the one listening - a blessing for those seeking evolution of consciousness, or a curse for those seeking to cause disruption or harm. The second and third lines are the delivery system ... the speaker is first judged, those who are most evolved are judged next, those who are more evolved are judged after that, and then those who are evolved are judged. In other words, the blessing/curse manifestly flows from top to bottom. The word, "use" seals the utterance against influence from outside interference and acts as a portal into the realm of Midgard. judged - point where the intent of the individual is determined by structures and thoughtforms present in the soul of the individual; the person's own soul structure, coupled with acquired complexes, makes that determination in natural consequence to and in congruence with his/her own past and present actions, feelings, thoughts, etc. (whether concealed or revealed). In note, a curse can also function to make adjustments in the soul, much like experiencing the mystical Dark Night of the Soul. Othala (ᛟ) in form seems to me to be of a feminine essence or androgynous (and wholly transcendent). Runa (ᚱᚢᚾᛆ) is the partially hidden, yet active feminine principle transmitter (activated as opposed to active transcendence in Ur mixed with immanence). Runa orders or arranges that to be transmitted in the Underworld, draws it up into superconsciousness, rains it down into consciousness, and returns, passing it to Arfr. Arfr (ᛆᚱᚠᚱ Old Norse for transcendent Ancestral Tradition as a opposed Sithr or customs ) is the active male principle transmitter (actively immanent). The Younger Futhark rune Ar (ᛆ) is given to be descended from the Elder Futhark rune Jera (ᛃ). The rune Ar at the end of Runa and at the beginning of Arfr could reflect the individuation of Jera into two runes Ar. The individuation of Jera into the two runes Ar could be seen as "the reward for the actions of the past" as Edred Thorsson writes in Northern Magic, making the point of transmission from Runa to Arfr a point of judgment for good or bad such that the rune Naudh (ᚾ) in Runa could represent the critical turning point in the process from transcendence into immanent manifestation. This map in my Geno 2.0 results from National Geographic's Genographic Project shows where my U5b1b1 ancestral genetic motherline mtDNA haplogroup is found in high concentration. My motherline mtDNA haplogroup is found in highest concentration in the lands of the Saami of Northern Artic Europe. Geno 2.0 doesn't analyze mtDNA in as detailed a fashion as does Family Tree DNA (through whom I had my mtDNA fully sequenced) - my more detailed ancestral genetic motherline is actually U5b1b1-T16192C! - the genetic "Saami signature." My Saami mtDNA Hg is concentrated in Northern Artic Europe. "The Neanderthal percentages presented in the Who Am I? section of Geno 2.0 results were calculated using a sophisticated analytical method. We continue to refine this method, and for this reason your result may change slightly over time as we make improvements. Thanks for helping us to better understand our shared ancestry with these hominid cousins, and for becoming a part of the Geno 2.0 extended family." "The Denisovan component of your Geno 2.0 results is the most experimental, as we are still working to determine the best way to assess the percentage Denisovan ancestry that you carry. Don’t be surprised if your percentage Denisovan changes over time—this is a result of our team refining the analytical method we use to calculate it. The evolution of this data is just another way you are actively involved in helping advance knowledge of anthropological genetics!" Of all world reference populations, my overall autosomal SNP genetic profile most closely matches the profile of the modern German population. I expected to match the modern English population most closely genetically, but I don't. So, while my top match for deep ancestry locates to Sweden (by autosomal STR analysis), the modern population I match most closely according to National Geographic (by autosomal SNP analysis) is the German population. This article (Myths of British Ancestry) suggests that most people with ancestors from England are primarily descended from aboriginal Basques, rather than from the Celts, Anglo-Saxons or Vikings. 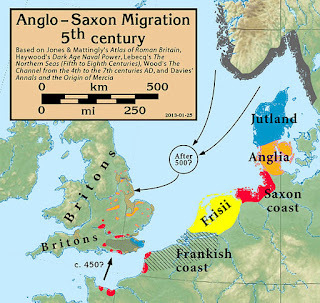 Yet there is no agreement among historians or archaeologists on the meaning of the words “Celtic” or “Anglo-Saxon.” What is more, new evidence from genetic analysis indicates that the Anglo-Saxons and Celts, to the extent that they can be defined genetically, were both small immigrant minorities. Neither group had much more impact on the British Isles gene pool than the Vikings, the Normans or, indeed, immigrants of the past 50 years. The genetic evidence shows that three quarters of our ancestors came to this corner of Europe as hunter-gatherers, between 15,000 and 7,500 years ago, after the melting of the ice caps but before the land broke away from the mainland and divided into islands. Our subsequent separation from Europe has preserved a genetic time capsule of southwestern Europe during the ice age, which we share most closely with the former ice-age refuge in the Basque country. Despite that many of English ancestry may be primarily descended from aboriginal Basques, my autosomal STR genetic results indicate that relatively less of my genetic makeup comes from the Basques. Instead, my primary gene pool comes from the Celts, Belgae (Gallo-Germanic tribes), Germanic, Norse and Italian - only then comes a Basque genetic contribution. Consequently, it looks to me that the Ice Age refuge for many of my ancestors may have been more toward the Italian peninsula than toward Basque country. 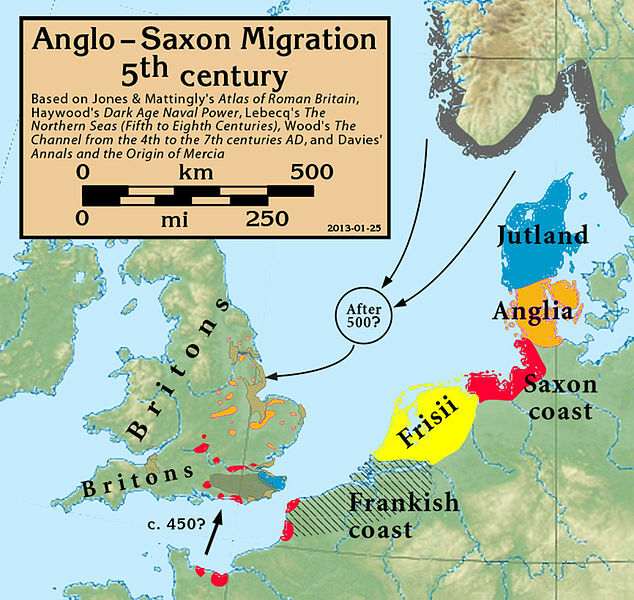 Notably, the Anglo-Saxons originated in Northern Germany, northern Netherlands and southern Scandinavia. Taking all of this together, and given that my mtDNA genetic (U5b1b1-T16192C!) ancestral motherline is aboriginal Saami from Northern Arctic Europe, it looks to me that the indigenous population of Northern Europe constitutes my primary genetic origins more so than does an indigenous Iberian population. Also, I think my autosomal STR genetic results shown below demonstrate that I have significant Anglo-Saxon and Viking ancestry, despite that many "English" people may have a greater overall Basque ancestral contribution than I do. This of course, does not negate the fact that the indigenous Basques (who may also be genetically linked to the Trojans as are thought to be the Swedish Vikings) are also my ancestors. Importantly, the Eurogenes K9 chromosome painting taking into account all of the genes on all my chromosomes (as opposed to looking at specific genetic markers as does autosomal STR anaylsis) supports that most of my genetic contribution comes from Northern Europe (as opposed to Southern Europe / Mediterranean). According to my autosomal STR DNA results (which consider both maternal and paternal ancestry comprehensively) obtained through DNA Tribes, my deep ancestral root localizes to southern Sweden as shown above in one of the graphical results I received from DNA Tribes. So, from where do these Swedes, among which my deep ancestors are counted, come from? There are numerous geographical studies, archaeological findings, historical accounts and written evidences which confirm much of Scandinavian history. Most of the written history begins after 600 AD. There is strong evidence that Swedish predecessors were an aggressive refugee "boat-people" who first came from the ancient city of Troy. Located in northwest Asia Minor (present-day northwest Turkey), the ruins of Troy were discovered in 1870. Troy (or Troi) existed over 4000 years, and was known as a center of ancient civilizations. Its inhabitants were known as Trojans (or Thracians) in the period beginning about 3000 BC, which began by an "invasion of sea peoples" according to the Egyptians. The Trojans were early users of iron weapons, and rode horses. Evidence shows the city of Troy suffered through several wars with Greek and Egyptian armies. Troy was finally laid in ruins about 1260 BC by the Greeks, leaving the city completely devastated, which is verified by the fact that the city was vacated to about 700 BC. Remaining about 70 years after the war, an estimated 30,000 Trojans/Thracians (called Dardanoi by Homer, Anatolians by others) abandoned the city of Troy, as told by various sources (Etruscan, Merovingian, Roman and later Scandinavian). The stories corroborate the final days of Troy, and describe how, after the Greeks sacked the city, the remaining Trojans eventually emigrated. Over half of them went up the Danube river and crossed over into Italy, establishing the Etruscan culture, the dominating influence on the development of Rome, and then battling the Romans for regional dominance. The remaining Trojans, mainly chieftons and warriors, about 12,000 in all, went north across the Black Sea into the Mare Moetis or "shallow sea" where the Don river ends (Caucasus region in Southern Russia), and established a kingdom about 1150 BC, which the Romans called Sicambria. The locals named these Trojan conquerors the "Iron people", or the Aes. The Aes (also Aesar, Aesir, Æsir or Asir) built their famous fortified city Aesgard or Asgard, also described as "Troy in the north." Various other sources collaborate this, saying the Trojans landed on the eastern shores with their superior weaponry, and claimed land. The area became known as Asaland (Land of the Aesir) or Asaheim (Home of the Aes). The Asir people dominated the area around the Sea of Azov for nearly 1000 years before moving north around 90 BC. The time of their exodus from the Caucasus region, and their arrival at the Baltic Sea in Scandinavia, has been supported by several scholars and modern archaeological evidence. As told by Snorri Sturluson (a 13th century Nordic historiographer) and confirmed by other evidence, the Asir felt compelled to leave their land to escape Roman invasions by Pompeius and local tribal wars. The aggressive war-like Indo-European nomadic Trojan Asir tribes came north, moving across Europe, bringing all their weapons and belongings on the rivers of Europe in their boats. The Asir were divided into several groups that in successive stages emigrated to their new Scandinavian homeland. Entering the Baltic Sea region, they sailed north to the Scandinavian shores, only to meet stubborn Germanic tribes. The prominent Germanic tribes in the region were the Gutar, also known as the Guta, Gutans, Gotarne or Goths by Romans. These Germanic tribes were already known to the Asir, as trade with the Baltic areas was well established prior to 100 BC. The immigrating Asir had many clans, and the most prominent were their Eril warriors or the "Erilar" (meaning "wild warriors"). The Asir sent Erilar north as seafaring warriors to secure land and establish trade. The clans of Erilar (also called Jarlar, Eruls or Heruls by Romans) enabled the Asir clans (later called Sviar, Svea, Svear or Svioner by Romans) to establish settlements throughout the region, but not without constant battles with the Goths and other immigrating Germanic tribes. The Heruls eventually made peace with the Goths who ruled the region. The Svear population flourished, and the Heruls and Goths formed a powerful military alliance of well-known seafarers. To read the full article, click the link aobve. I really love the rustic simple beauty of this little knife. 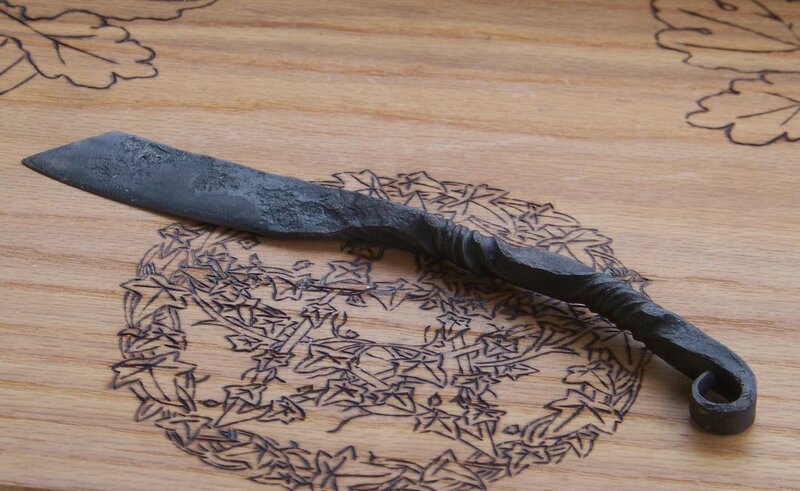 My seax is made out of 1095 high carbon tooling steel and hand forged in a coal forge. It has a 3-1/4 " blade. The handle has two twists in it and is rolled and the end. The knife is 7-5/8" long and treated with bee wax. I've been trying to figure out why my fetch/fylgja/hamingja might have appeared as a Jotun in my dream the other night. Following threads of investigation, I've discovered that there is evidence that Jotnir can be Traditionally associated with one's hamingja - evidence for this exists in Vafþrúðnismál, the third poem of the Poetic Edda. This poem largely discusses the battle of wits between Odin and the wise Jotun Vafþrúðnir whose name means "mighty weaver" in ON, linking this battle of wits to the idea of trying to outwit one's Fate as woven by the Norns. In the poem, Odin ultimately outwits the "mighty weaver", suggesting that Odin indeed has overturned his Fate to become the weaver of his own Fate. Taking all of this together, I am identifying the Jotun in my dream with Vafþrúðnir, and my dream as one pertaining to my own relationship to Fate. Interestingly, my encounter with Vafþrúðnir did not result in my death. I left my dream alive. In follow-up to my previous entry, trying to figure out the identity of the earth/mountain jotun in my dream last night, I came across this which might suggest that it may be related to my fylgja-fetch-hamingja, as right before bed last night I read a ritual about contacting my fetch. I am wondering if there are any other instances in the Traditional lore where one's fetch-flygja-hamingja is identified as being a jotun (of any kind)? Before going to bed last night, I read a ritual concerning contacting one's fetch. Then, last night, I dreamt. I was driving my car carrying 3 other passengers. I'm not sure who my passengers were, but the two in the back seat were female. The third one in the front passenger seat was more known to me, but I neither know who the person was, nor if male or female. I had turned northwest off a valley interstate highway, went up an exit-off ramp, and pulled into a gas station-pantry to refuel and for everyone to get drink and food nourishment for continuing the trip north. The gas station sat at the top of a high hill, a little bit back away from the road. The interstate below was in a valley plain, and in the distance behind the interstate were rocky sand-colored mountains. I got something (a fruit smoothie or some kind of juice, I think) to drink, although I think there was a bit of disagreement as to what kind of nourishment I should get - there was a low level argument between the two back seat passengers. I'm not exactly sure what their argument was about because I ignored them and just got what I wanted. They got whatever it was they wanted and we headed back to my car. Back at the car, I wasn't comfortable transporting something one of them had put as baggage into the trunk of my car, so I opened the trunk up and took out whatever it was I found to be objectionable and dangerous to transport. Again, I'm not sure what it was, but whatever it was, I took it out and discarded it. The women balked a bit, but it was my car. After discarding the objectionable baggage, closing the car trunk, I was facing toward the interstate back from where we had come. The interstate and exit-off ramp were full of cars and other vehicles. Suddenly, I saw a male figured sand-color rocky giant charging across the valley towards the off ramp from which we had just exited a short time before. I felt no danger that the giant would come up the hill to where we were, but it was clearly crushing vehicles as it strode across the valley towards the exit-off ramp. I tried to yell and warn the people in the vehicles on and entering the exit-off ramp about the giant, but they neither saw the giant nor heard me. The giant raised its fist in the air and crashed down on top of the cars on the exit-off ramp, crushing them. Reworked from my old geocities website - Dawn in the Forest.